Wayne State University Professor Gene Liao recently contributed two chapters to the 12th edition of Marks’ Standard Handbook for Mechanical Engineers, an internationally popular text among students and practicing engineers that recently celebrated its 100th anniversary. Liao, who teaches engineering technology as well as electric-drive vehicle engineering, contributed “Automotive Engineering” and “Roadmap of Vehicle Electrification and Hybridization” to the transportation section of the text. 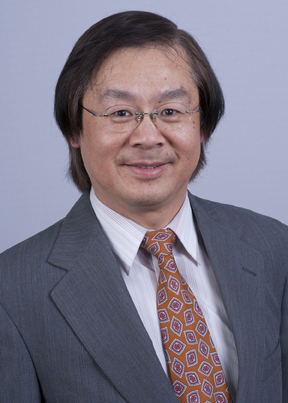 Liao’s research interests include mechanical design, multibody dynamics and hybrid vehicle powertrain. He worked for 15 years in the automotive industry before joining the Wayne State faculty in 2001. Liao also serves on the Expert Educator Team (EET) for the Aligning Technology and Talent Development initiative of the Lightweight Innovations for Tomorrow (LIFT) manufacturing institute, the Association of Public and Land-Grant Universities (APLU), and the National Center for Manufacturing Sciences (NCMS). Marks’ Standard Handbook for Mechanical Engineers includes contributions from more than 160 experts from around the world. It is among the best-selling texts from publisher McGraw-Hill, which prints a new edition every decade. The book focuses on core subjects related to mechanical engineering, including applied mechanics, nondestructive testing, engineering materials, power generation and engineering ethics. Lionel S. Marks, a professor at Harvard University and Massachusetts Institute of Technology, first published the handbook in 1916.